Art of Travel Money continues on the Art of Travel concepts of creating composites of a collaboration of impressions and objects that have been placed within a culture by the surrounding human inhabitants. They characterise the land, based on the humans branding of the landscape, creating the result of an implied culture that is unique from any other, through signs. 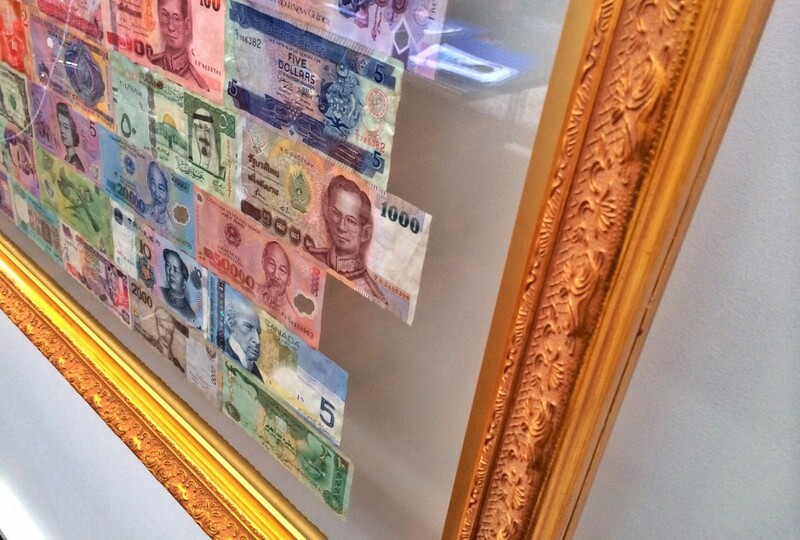 Money is a strong cultural representation of a culture as it tells a short story on who are the heads of the state and what represents it’s culture visually. 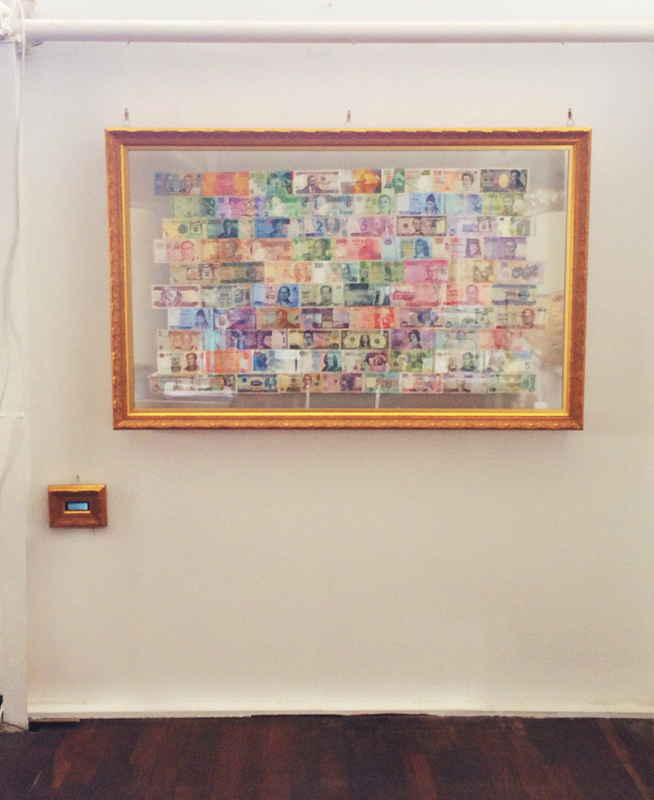 Exploring the money within this collage allows you to explore a countries culture. 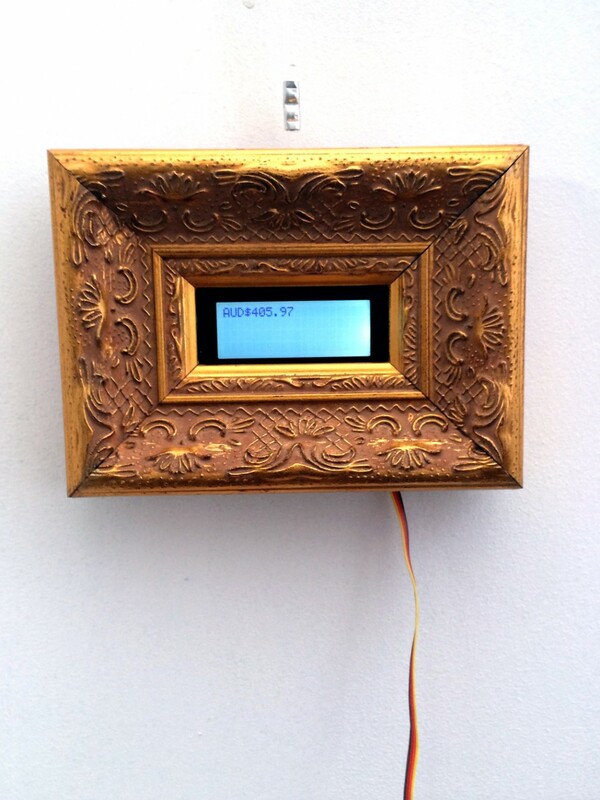 The collage is accompanied with another important feature, which is the money value. 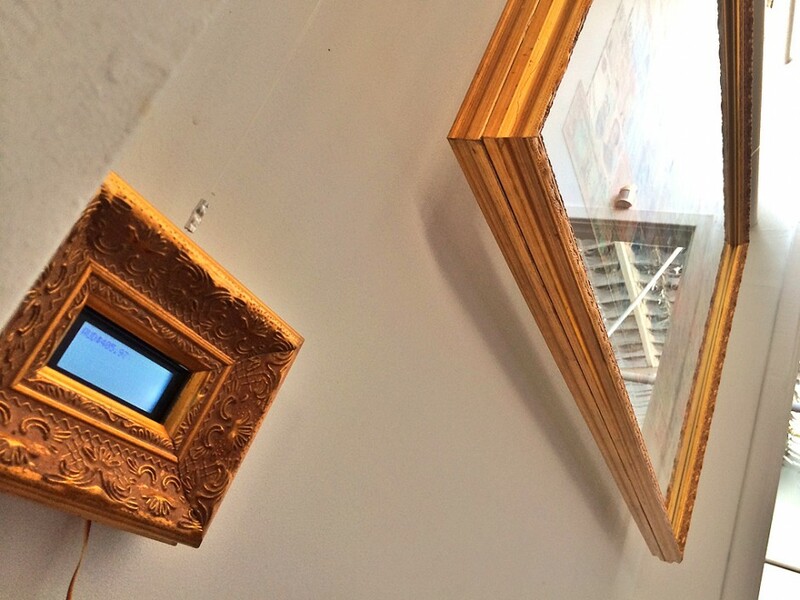 The framed LCD screen is feeding from the internet the live total value of the currencies displayed within the collage at any point in time. 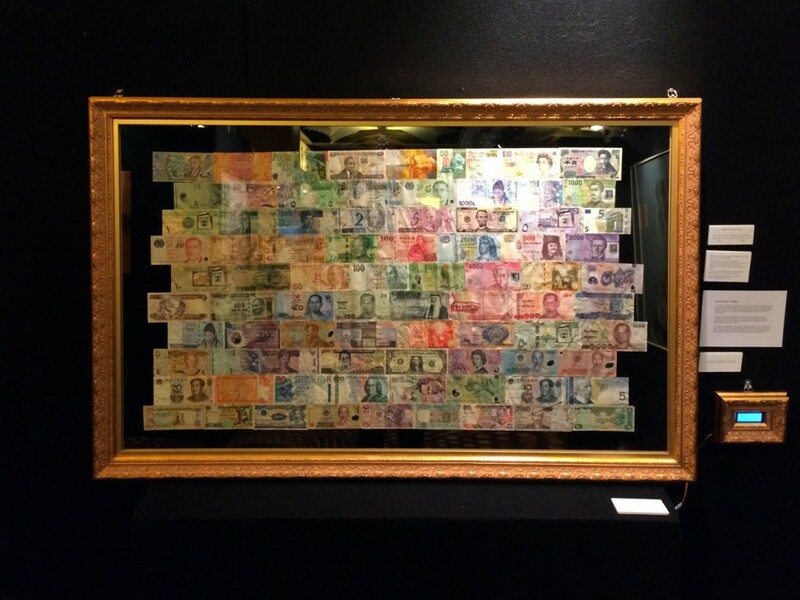 This comments on the effect a country and it’s economic situations have on the value on art.